All attendees staying in the residence halls are required to have a meal plan for the dining hall. We create a custom meal plan for each event. You pick the starting meal and date along with the ending meal and date. We provide those meals and all in between for your attendees. If you have attendees who aren’t staying on campus we can create a commuter meal plan for them. You select which daily meals they’ll receive and we’ll provide those meals each day in alignment with the meal plan designated for the attendees staying on campus. Our dietician will work to accommodate attendees with medically restricted diets or food allergies. Minimally we must receive the attendee’s name and their individual circumstances two weeks prior to the start of the event, so please collect this information while registering attendees. If the circumstances are extensive or complicated we’ll ask for contact information so we can speak with the person directly. In the end, we want each and every guest to have a variety of healthful food options, no matter their restrictions. Each attendee can enter the dining hall once during each meal period. Please let us know if you’d like different hours and we’ll provide a cost estimate for this service. All meals are “all-you-care-to-eat”. Menu options include fresh salad bars, comfort food, ethnic cuisine, and home-cooked favorites. A wide range of beverages and desserts are included. A guarantee number is due to Conference Services two weeks (10 business days) prior to the start of the event. If your event has a commuter meal plan a separate guarantee number for this plan should be submitted at the same time. This number will be used for food ordering, staffing, and preparation. Billing is based on the guarantee number or actual number, whichever is greater. Conference Services will assign attendees to a specific dining hall based on the number of people attending the event and the number of people from other events eating in the dining halls. Each attendee will be issued a meal tag. The meal tag is programmed to work only at the assigned dining hall and only for the meal plan created for the event. Each attendee is allowed one entry to the dining hall per meal period. Only ice cream cones and refilled beverage containers (16 oz. or less) can be taken out of the dining hall. All other food and drink must be consumed in the dining hall. To accommodate special guests of your event, we offer VIP meal passes. Each event can be issued up to 20 per week of the event. A VIP meal pass is good for one person to eat any one meal. This meal doesn’t have to be designated in advance, so it offers ultimate flexibility. The final invoice will include the charges for the number of VIP passes used at the same rate as the meals that are part of the meal plan. We offer each event the option of exempting one meal from their meal plan per week. This meal exemption should be requested at the time the contract is being generated. No attendees will be allowed access to the dining halls during the exempted meal and dining hall charges will be billed for that meal. 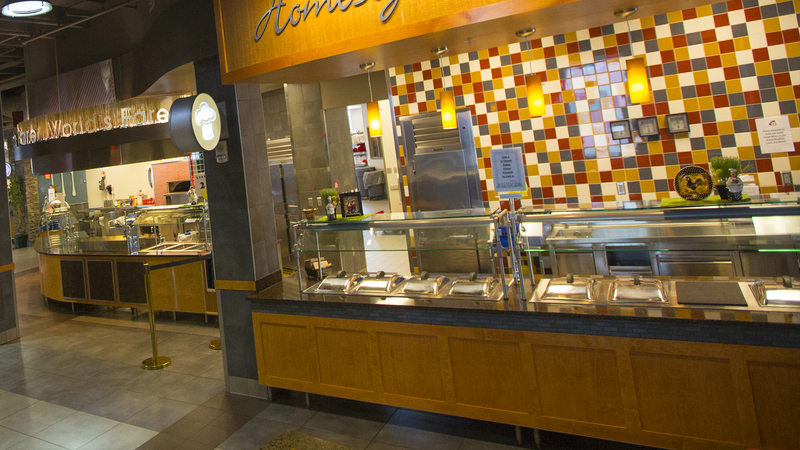 You can substitute an unlimited number of meals in the dining hall with meals provided by University Catering. The per person cost of the catered meal must be greater than the per person cost of the dining hall meal. For more information on catered meal please see the Catering section.